What do we grow here at Amherst Nurseries? 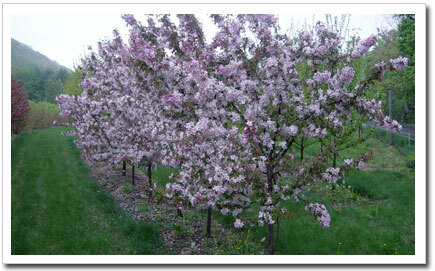 These are 12-20' tall trees that are going to make an instant impact in your landscape! The pictures below were taken last season at our nursery farm, and provide a good representation of the kind and size of trees that we grow. 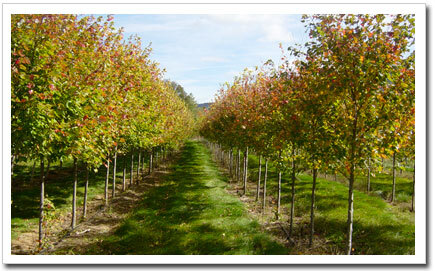 All of our trees are selected for reliable growth in our cold New England climate. 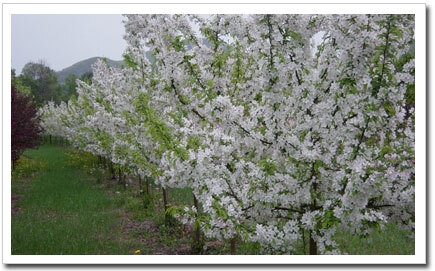 All will tolerate weather conditions at least USDA zone 5, and many will withstand much colder climates. We grow these trees in Charlemont MA, where winter temperatures can reach -20F. Our shade trees are fast growing and typically available in heights of at least 15' tall, providing shade instantly!